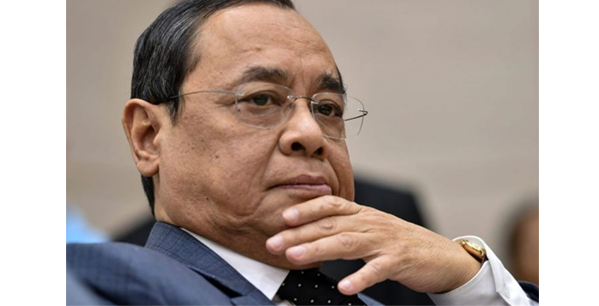 Chief Justice Ranjan Gogoi-led bench ofSupreme Court on Friday sought response from the Central government on a plea challenging the constitutional validity of Central government’s power of surveillance under the Telegraph and the Information Technology Acts. A report published on Saturday by National Herald stated the notice seeking the Central government’s response came in a petition filed by the People’s Union for Civil Liberties (PUCL) stating that the said provisions permitting surveillance violates fundamental rights and freedoms under Articles 14, 19, and 21 of the Constitution and cause injury to public interest. The petition has been filed before an apex court bench headed by Chief Justice Ranjan Gogoi, who is Assam’s son of the soil. The petition cited RTI replies, ministers’ reply to the Parliament as well as “Transparency Reports” published by Google, Facebook, and Twitter, where “rampant abuse and misuse” of the surveillance power by the government has been pointed out. The petition, while citing RTI replies in 2011 and 2013, also pointed out to the Ministry of Home Affairs which revealed that “7500 to 9000 orders for interception of phone calls are issued monthly by the Central Government. In addition, it was revealed that about 500 orders are issued every month for interception of emails”. The petition also enclosed transparency reports and said Google received 5,105, Facebook 16,580, Twitter 355 and Yahoo 722 requests respectively, regarding user information from the Central government in 2018 till the month of June. It mentioned that such requests were the highest in the year 2017 with Google receiving 8,351, Facebook 22,024, Twitter 576 and Yahoo 1,280 such requests each.